It's one of those very difficult questions, as it's such a subjective thing. I tend to use mostly guitars with humbuckers for one thing, and my amp (a Polytone "jazz" type amp) is probably very different to your Hiwatt bluesfloyd. RAT/Turbo RAT - or a clone thereof. I currently have a cheap Chinese mini-pedal RAT clone (Andoer Myomorpha - search on ebay, and there are other brands also) that has a switch to go from "vintage" to "turbo" modes. I like the turbo setting best - notused with the distortion/gain very high, but it has a fat, ballsy quality that I really like, and actually quite a singing quality as well. 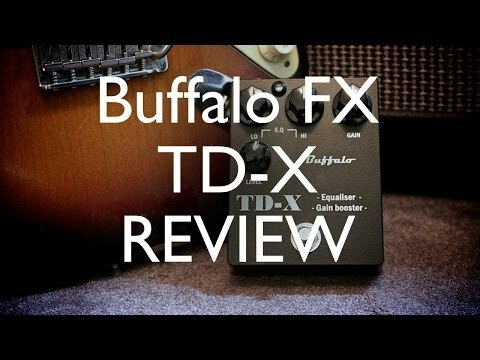 TC Electronics Dark Matter distortion - despite the name, I've found this to be very good for the smooth singing sustain kind of tone. It's also nice because it keeps the body and depth to the tone, whereas I've found some drive pedals cut the bass too much. I've got a TC MojoMojo overdrive also, which isn't bad, and very smooth-sounding, but is perhaps a bit too mellow for my taste. Zendrive and related "clones" - I had a Chinese mini-pedal version (Tomsline Dumbler) that was good, and now I've just got hold of a UK made DopeFX Black Lotus which is a modified zendrive type with 2 extra controls. I sometimes find the sound a bit nasal, but it depends how the pedal is set, and it's certainly nice for bluesy low to mid gain sounds. But these are just a few I've come across, and there's loads out there. I really like the look of the OKKO Diablo + although that one's not cheap, but it looks to be very versatile and well designed. There are many flavours of 'overdrive' and they are all valid in one form or another. On my pedal board I have 3 (I know I'm greedy). An old favourite is a cheap Arion SOD-1 which gives that thick smooth overdrive out of one socket or a more agressive brighter overdrive from the other, I just use the smooth mid hump version and really like it with the strat especially in the OOP bridge/middle position. I'm now on my third of these, one died, one is my rehearsal unit and one on the big pedal board. I'm over 3 decades with this cheapie and they have been well gigged. Next is a standard BOSS SD-1. A classic reliable unit for not much money and can get most of the sounds you hear in your head. The reliability of BOSS is legendary and many Pro players use them on thier boards because of that and they can replace them from any local music store if they ever need to. Finally I have a Blackstar HTdrive. These contain an actual valve and as a consequence they are larger and heavy plus they need a dedicated 18v power supply. 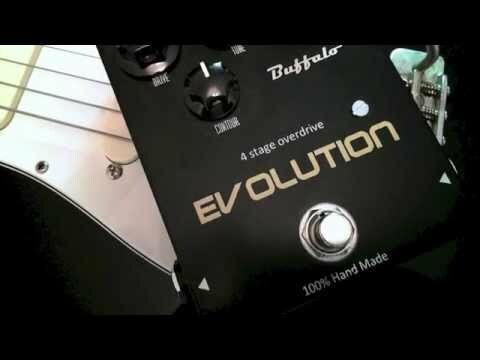 They also make a dual fuzz/overdrive pedal for more tones in the same footprint. having said that the HTdrive is very versatile and can get pretty dirty on it's own or be very lightly overdriven. There may be some overdrive from solid state diodes (ala modern marshall amps) but the valve gives the unit that 'touch sensitive' feel of a real valve amp front end so you can set it on the edge of overdriving and then dig in with the pick to get the dirt of specific notes or phrases and then back off to clean it up. Is it identical to a pushed valve amp? No, but it's close enough for me and my main amp is a 1968 marshall 50w. In short try a few and see if anything appeals, there is a whole industry of boutique makers doing different (read expensive) flavours and in short some work better with certain guitars or more often certain amplifiers so check out what you can. If you wist to retain the characture of the HiWatt the blackstar HTdrive is worth a look. Oh did I mention you can cascade overdrive pedals for yet more dirt and drive flavours but you need to set the gain levels carefully to avoid blowing people away with sudden jumps in volume. Another cheap Chinese mini-pedal I liked (and stupidly sold) is the Aroma (aka Tomsline) Bluesy, which was just great for low gain stuff, and nice because it still lets you play complex chords, and the notes still come through, and it doesn't sound like a load of mush. Really good for that just starting to break up kind of tone. Also nice just to give a certain quality to a clean tone. I believe it may be based on a Marshall Bluesbreaker pedal, though I'm not sure if it's the Bluesbreaker Mk 1 or Mk 2 version. But it was certainly great sounding and a bit of a bargain (£20 ish from China on ebay). I heard someone using an Ibanez Tube Screamer with a Strat the other day. It had a really good Hendrix sound to it. 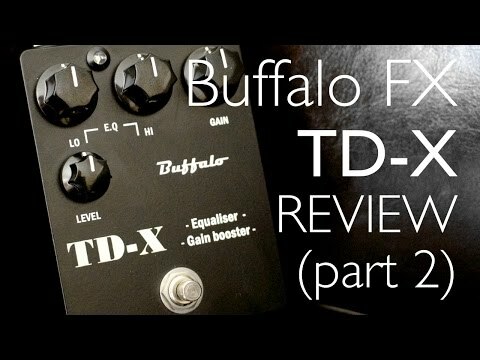 Certainly a Tube Screamer and a Timmy should be on your list of pedals to try before buying. I've lost count of the number of overdrive pedals I've had, tried for a while, and then got rid of. Including more costly ones like a Fulltone Fulldrive 2 and a Rothwell Heartbeaker. But I like an overdrive pedal that allows the sound of the guitar to come through so that different guitars will still sound different. For my tired old ears most pedals failed. I ended up with a Palmer Roof Effect PEOD Overdrive. It has a blend knob to mix a proportion of clean and processed signal to suit my taste as well as the usual knob for amount of overdrive in the overdriven signal. It's built like a tank too - David Walliman is right. Not expensive at around £50. Great value as far as I'm concerned. 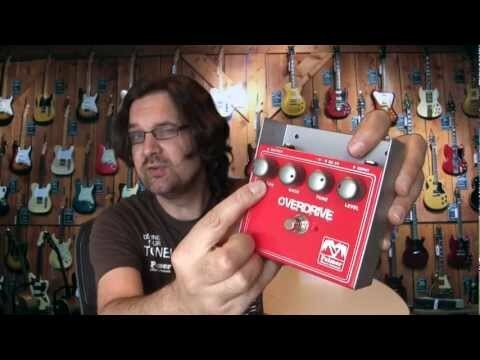 I remember you getting that Palmer overdrive Mark - I said at the time I liked that one out of the ones you were considering, and I still think it's a great pedal. I wish they made it a bit smaller footprint though, as it would use up a lot of the available space on my pedal board. But if that's not such an issue, then for just over 50 quid, has to be a great buy - an overlooked gem it would seem. 'Tis big its true. Could be useful as a weapon of self defence if irate listeners rushed the stage! Do you not have a telecaster? That it the professionals weapon on choice it seems. I'm with Megi on the subject of the Rat. I use my rat on just about it's minimum drive setting to get a good Stax soul type overdrive sound. So it doesn't have to be used for full-on dirty distortion (although it fulfills those duties admirably!). The filter knob on the Rat works exceptionally well, although it's counter-intuitive. Turning it anti-clockwise increases the treble, so I'm not quite sure how it works as a filter. I'm imagining it's something more than just a tone control. I also have a Mooer Green Mile which is well worth trying. I understand it's a clone of a Tubescreamer, but it has an added mode switch for warm and hot modes. I think it's great, but as a lot of the guys have said, it's all down to personal taste. Plus I'm using either humbuckers or P90s with it so very different pickups from your Strat, Mr Floyd! I have another (hopefully) final word on overdrives. Context is all, what sounds great in the bedroom on it's own will be useless in a live band environment. All that lush fat bottom and sparkly high won't cut through and just makes mush when you get the wick wound up. 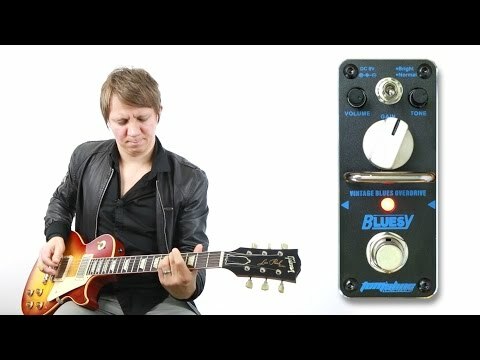 This is why many overdrive pedals have that typical mid frequency hump, it enables the sound to push through the rest of the instruments without drowning them all out. It's also why a lot of budget or practice amps don't work with bands, they are designed for the bedroom widdler and sound great in isolation but are lost with a full band (some budget line 6s' being an example). So when you audition pedals, keep that at the back of your mind to save you having to buy another pedal later. Very true, Mr Blonde. One of the reasons I gave up on my old Line 6 Flextone many years ago was because I could spend hours fiddling with it at home to get good sounds, then when I went to a band rehearsal they sounded, well, "sub-optimal," shall we say? I've been through so many OD pedals which sounded uninspiring or bland, but last year I tried a Voodoo Labs Sparkle Drive which is just immense. I'd say is possibly more "indie rock" than classic rock in terms of voice - but that suits me fine. It also has a clean blend control - which is really useful. I play my Andy Tele through it and it produces that lovely gritty Tele tone. It's the only OD pedal I use live now (apart from a boost pedal for solos), and its cuts through a band mix really well. Highly recommended. I recently picked up a ThorpyFX Warthog. It has a Caliber control on, which fattens up my Strat; so much so, that a humbucker-equipped guitar is no longer essential to me. I saw Thorpy at a guitar show and he was really helpful. The Wathog is a really versatile pedal and covers a lot of gain tones, but more on the higher gain end. There's lso a Peacemaker, which is lower gain and I'll probably also get this very soon. Check out their range of pedals. Expensive, but miles better than the price suggests.